Fuengirola is one of the top favourites of seasoned sailors and tourists who are spending their holiday in the Mediterranean country of Spain on the Costa del Sol on board luxury charter yachts. This old Moorish town, which is located on the southern edge of the mainland, boasts of a near perfect location along one of the most coveted destinations of beach lovers in the Mediterranean and has been known to see it's share of luxury superyachts. This famed yacht charter resort on Costa del Sol plays hosts to a significant number of local and foreign holidaymakers during the summer months. Nestled between two popular yacht charter resorts – Marbella and Malaga – Fuengirola is usually used as the jump-off point by seasoned sailors and other yacht charter enthusiasts exploring the best and important attractions in the Andalucia coast. Tourists from various cities in Europe come to Fuengirola to catch the action and activities along its promenade, dubbed as the longest on the coast of Andalucia. 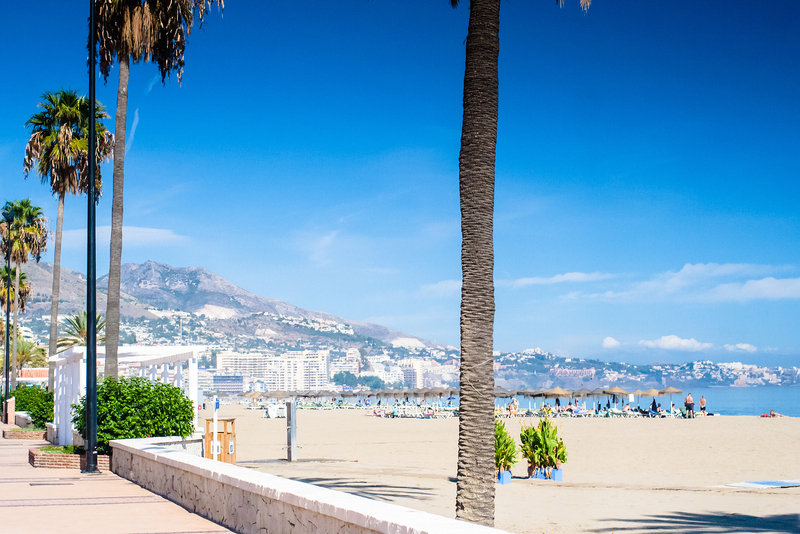 Fuengirola will always be renowned for its five miles of pristine sandy beaches. The massive development and construction projects that were undertaken in the past few years have transformed this popular Spanish resort into one of the most cosmopolitan and modern yacht charter destinations in all of Spain. Fuengirola, which is bounded by Marbella and Mijas on the western side and by Benalmadena and Torremolinos on the eastern side, provide easy access to other important attractions and popular destinations in Costa de Sol. Fuengirola is an extremely popular tourist centre primarily because of its unmatched accessibility by air, sea and land. The ideal location of this bustling yacht charter resort allows tourists to experience and explore the best that Costa del Sol could offer. A short 25-minute drive is all it takes to reach this idyllic resort if you are coming in through Malaga International Airport. This airport terminal serves major airlines coming from various cities in Europe. Of course, the best way to enjoy the marvels and treasures of Fuengirola is by taking a ride on your charter yacht from Benalmadena. This popular yacht charter route will allow you to enjoy the amazing views of the coastline while sailing to your final destination. Fuengirola started out as a quaint fishing village, which is a far cry from what it is right now – a bustling and vibrant tourist centre with a distinct character like no other in all of Spain. Luxury Yacht charter guests and mainstream tourists return to Fuengirola over and over again to enjoy the holiday treats in its tapa bars and fine restaurants and check out the diverse items and merchandises that are on sale in the chic bazaars and outlets. Popular attractions and important destinations that you should explore and discover in Fuengirola include the Plaza de la Constitución, which is the main square where most tourists normally congregate. You will also get the chance to enjoy the lively mood of this Andalucian town if you come and visit during the summer months, when most of the festivals are being held. One of the best parts of your holiday experience is your participation to the festive street celebrations. In fact, even a leisurely walk along its narrow alleyways leading to the main square is already an experience by itself.